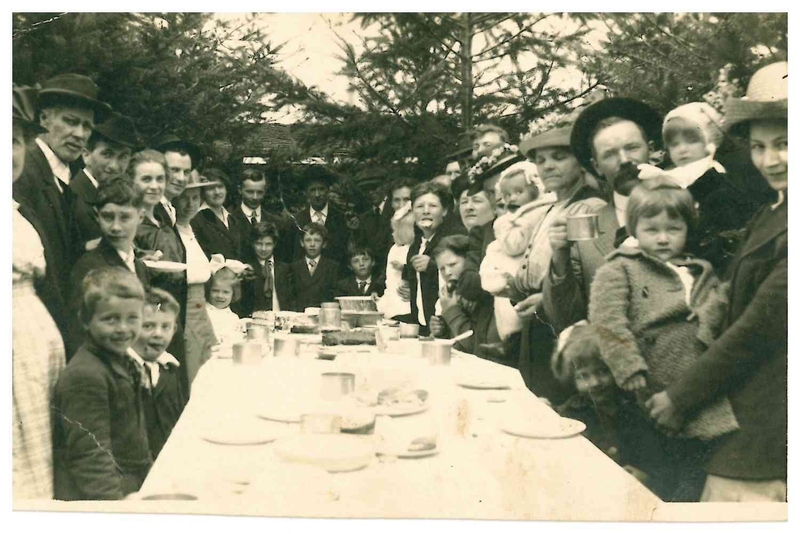 This newly acquired photo (WHC 2014.026.0001), depicts members of the Fruitland Church picnicking at Silver Falls State Park in 1913. Fruitland is a community located just east of Salem, Oregon. It had its own post office from 1892-1901. Some names listed on photo: Orville deVries, Leona (girl-child), Rose deVries (1/2 face), Wilma, Evelyn. (These are a family of 5 in the right corner). While these identifications seem fairly straight forward. A quick look through some other historical records indicate that they may be a little off. 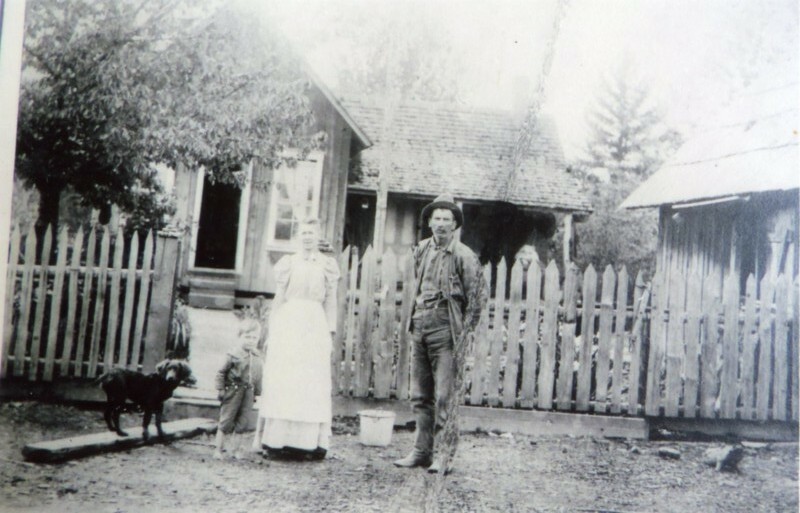 Orville deVries does not appear in the 1920 Federal Census of the area. 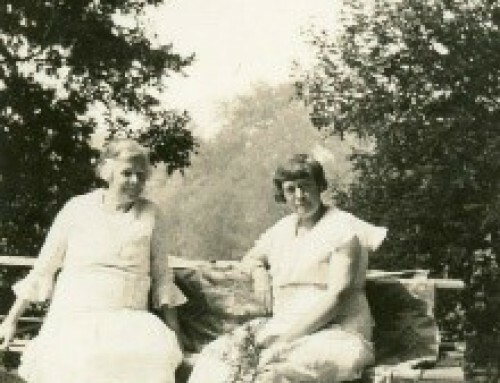 However, a Herman W. deVries with a wife named Rose and children named Harvey, Leona, Wilma and Evelyn do. According to the 1920 Census Herman W. deVries was born in German and immigrated to the U.S. in 1885. He was naturalized in 1915. At the time this photo was taken Herman would have been 32 years old. 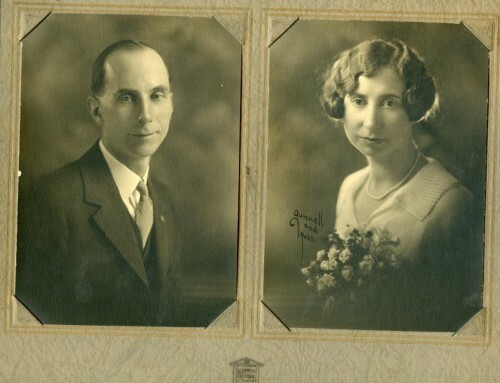 Herman’s wife Rose, was born in Switzerland and immigrated to the U.S. in 1891. All of their four children were born in Oregon. 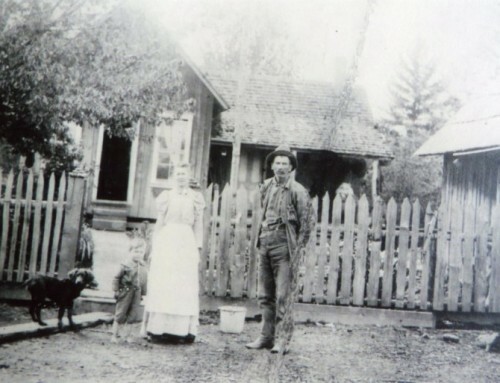 Herman and Rose owned a farm in the Macleay area, where they remained until at least 1940, when they appear in the census as living at Shaw Road-Macleay-Pratum. 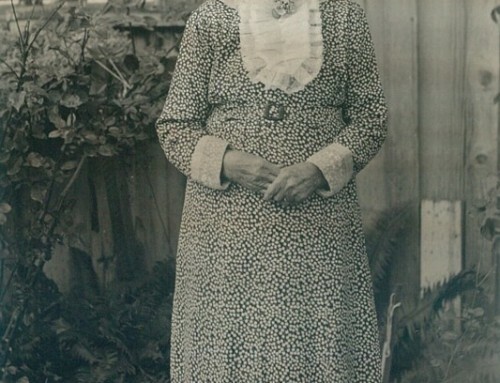 The similarity in children’s names leave us pretty convinced that there was an error in the identification on photo, and that the family identified to the right of the image is in fact the Herman deVries Family. What do you think?